The members of UWUA Local 601 work hard each and every day to provide for their families. While you are out in the field, your elected union leadership is hard at work making sure that we have the tools and resources to effectively represent you. As you will see below, your elected stewards and leaders gave up a recent Saturday to take part in a Stewards Training, where they learned about many different issues that they may need to confront while representing you. We have also been working hard to make sure that we have a friend in Trenton who will look out for working people. For the last eight years we have fought Governor Chris Christie over everything from raising the minimum wage, to fully funding state employee pensions, to passing unemployment benefits for striking workers. Now Christie's time has come to an end and the voters of New Jersey have the ability to pick his successor. On Tuesday, June 6th voters from both parties will go to the polls to vote in primaries to chose the candidates who will face off in November. 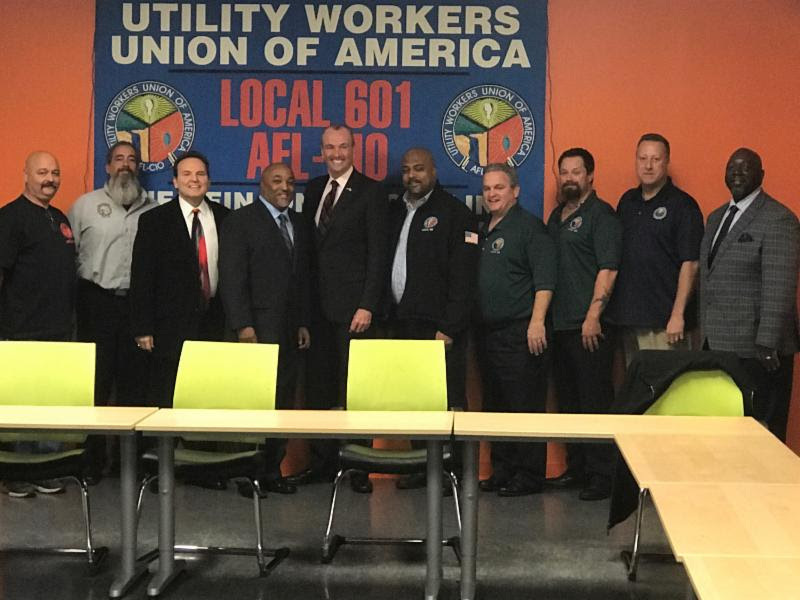 The UWUA New Jersey Council made an early endorsement of Phil Murphy. We made this endorsement after sitting down with him and grilling him on issues that are important to our union. One of the areas that he has been fighting for us and pledged to continue to fight for us surrounds stopping the outsourcing of jurisdictional Utility Work. I believe that if he is elected he will be a strong friend of labor and a needed change from the last eight years under Christie. I urge all 601 members to get out and vote on June 6th for Phil Murphy.